A cultural celebration exists in a time and space where we come together to celebrate who we are and what we value. It also helps us honor our past, present and future. However, we often use this as an excuse to let highly commercialized and unsustainable practices become part of our joyous occasions without much concern or guilt. It’s a party after all! It’s a special day once a year! So it’s fine. When the Chicago Cubs won the World Series in 2016, their millions of fans gathered to celebrate their victory and left Grant Park covered in trash and cost officials nearly $400,000 to cleanup and repair. Last year in India, as people lit firecrackers to celebrate Diwali – the festival of lights, the ‘fine particle pollution’ levels exceeded 30 times the World Health Organization’s recommendation for average daily exposure. As wonderful as our celebrations are – they have a range of negative impacts on people and the environment that we cannot afford to ignore anymore. Looking back at Christmas time growing up, my parents would buy me and my siblings new clothes and gifts, and shiny new ornaments for the Christmas tree. These were purchases made with the best of intentions. But while those new clothes and shiny decorations were discarded and long forgotten, my most cherished memory of Christmas remains of me and my mum dancing in our living room in the middle of the day to Mariah Carey’s ‘All I want for Christmas is you’… and her homemade Christmas treats of course! If we take the time to reflect on how and why we celebrate a certain festival and what real value it holds for us (and the larger community), we can start to separate the meaningful values from the commercialized frills. Solutions around sustainability handed to us rarely stick unless they already match our lifestyle or values. The missing link in igniting collective action is the necessary change in our individual and shared value systems so that they truly embody Positive Sustainability, a concept that goes beyond mitigation of the negative and strives toward building a system that flourishes. By building on the social capital and power of the memory and nostalgia associated with celebrations, we can encourage people into adopting new sustainable ideas that are beneficial for all. And in this way, celebrations become potential catalysts of behavioral change. But how do we ensure we choose that which is beneficial to all and not just a few? It is easier not to think about the larger impacts of our decisions and to go about business as usual. But if we are to truly solve a complex issue like sustainability, we must learn how to tackle its intricacies with the help of systems design while looking at each moving part with compassion. Our minds can formulate many solutions to a given problem, but it is our compassion that chooses sustainable ones. My MS Communications Design thesis focuses on this issue and proposes the concept of ‘Compassionate Systems Design’ as a lens to explore and reconstruct more positive levels of sustainability within cultural celebrations. When compassion guides the valuation and design process at its core, more holistic and equitable sustainable solutions are developed. The term ‘Compassionate System(s) Design’ was first coined by Jonathan Leighton as a way of encapsulating what he aims for: “to help embed compassionate principles into new structures we design for society”. For values of sustainability to take root, compassion needs to be utilized to broaden our myopic view of the world and be able to truly solve problems without creating new ones somewhere else. This type of ‘bigger picture’ systems thinking accompanied by an inherent sense of compassion to do the most good and least harm at every step is called Compassionate Systems Design. After months of research, surveys, interviews and testing; I used this concept to frame a multidimensional dialogue as a curriculum. 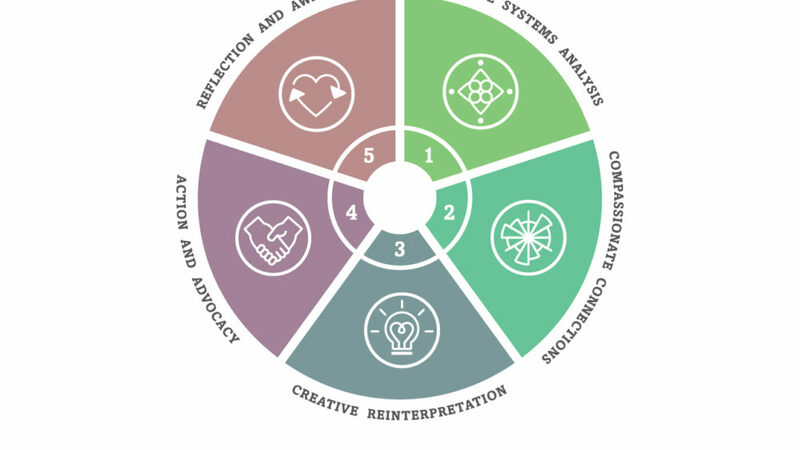 Aimed at high-school students, this educational framework uses a compassionate and reflective model of value assessment and cultural recreation. Through this process students collaboratively re-imagine more sustainable ways of celebrating their authentic core values while being mindful of their impact on other interdependent communities and ecosystems. 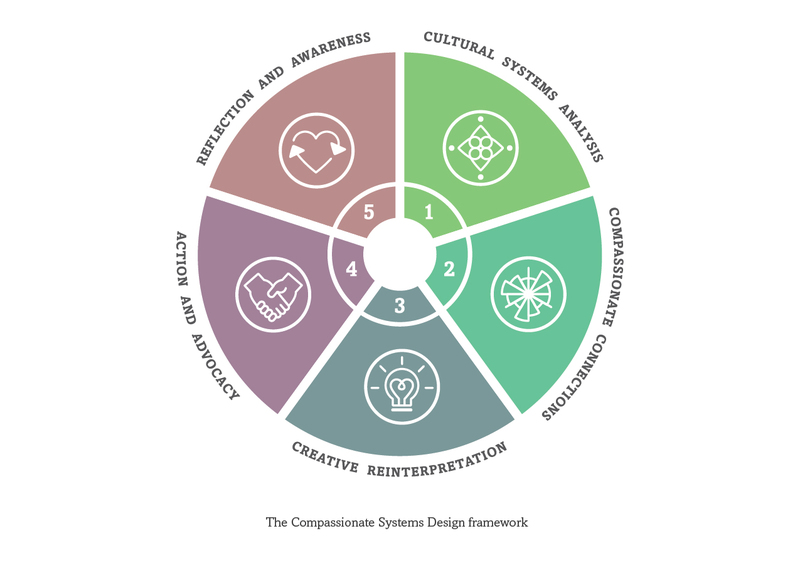 The Compassionate Systems Design framework is divided into five stages over the course of one school semester. For this, I designed a step-by-step guide for teachers along with various classroom tools for each step such as process guidelines, a sustainability analysis board, score cards, inspiration cards, evaluation of action sheets, and reflection and awareness sheets. Students explore a particular artifact or practice of a celebration, analyze its level of sustainability, design a more sustainable solution, test it in the community and reflect upon their learnings. But because this process aims to create a paradigm shift, we precede the five step process with Step Zero. 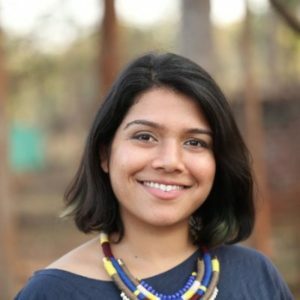 Here students learn about the developments in theories on sustainability, design and the importance of culture and compassion that lay the analytical foundation of the framework. These are not ground-breaking ideas, but ideas we often forget. Mind mapping is introduced in this step to help students visualize the many connected parts and influences within a cultural celebration. Breaking into groups of four to eight, each student in the group will decide on their persona of self, community, environment or moderator. This helps build empathy through role play. Self can be an individual or group of individuals, but must be the smaller social unit of the self and community. It should also be a social unit to which the students belong. Community represents the larger social unit of the two. The environment refers to natural flora and fauna and shared resources from nature. The moderator is present to note down developments, fact check and help move the discussion forward if roadblocks occur. One artifact or practice from the chosen celebration will be selected by the group to reflect upon with compassion for all involved. 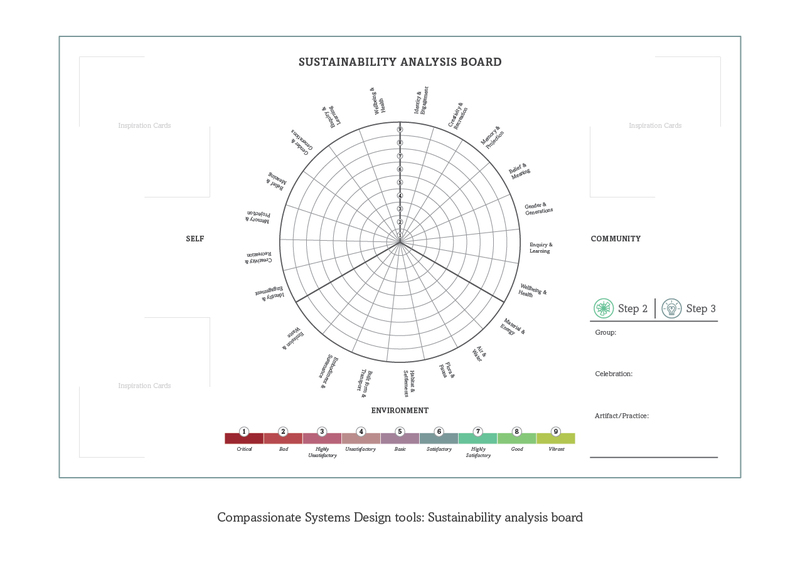 Students use a sustainability analysis board (designed using the Circles of Sustainability Model by Paul James) to evaluate and plot out the levels of positive benefits and negative impacts on the self, the community and the environment. Each player or pair of players will focus on the benefits and impacts on their persona. This process will help visually quantify the level of sustainability and highlight points of friction that can then be redesigned. In this next step, students will redesign or evolve that artifact/practice so it has the most benefits and least harm for all three personas. Guides for brainstorming and three sets of creative inspiration cards will assist each group with lateral thinking and problem solving by using inspiration from design, nature and society. The group brainstorms ideas to arrive at their ideal solution, which would have the most balance between the three segments/personas and the highest cumulated sustainability score. The students then use the provided ‘theory of change’ model to develop a plan to implement their ideal solution in the community. After coming to a consensus on the best possible solution and its associated road map, each group will give a presentation in class on how and why they came to this solution. Other groups in the class (and invited guests from the community) will objectively critique and provide constructive feedback to help develop each solution presented. Students will then revise their plans with the given feedback and action those plans in their communities to effect positive change around culture and environmental sustainability. The solutions could vary from awareness campaigns, fund raisers or creating a more sustainable product to be used during the celebration. Lastly, students are encouraged to note down what they have learned from their assumptions and actual implementation outcomes. They are also asked to think about what they want to change in their lives and the lives of their community. By taking the time to reflect on the process, how it worked and why it did not, students build on their ability to reflect on systems of interactions, thoughts, feelings and actions. Students help nurture a compassionate growth mindset through mindfulness, hard work, good strategies, and listening to input from others. The understanding achieved in the process will guide the next iteration of the framework creating a cycle of holistic compassionate development. Given the current climate of political, social, cultural, and environmental transition, bold solutions are needed that produce sustainable results. The rise of mindfulness and the need for emotional intelligence in both schools and business organizations further illustrates the growing importance of compassion in various aspects of our lives. The main aim of this framework is to cultivate individual, community and environmental values that are mutually beneficial and sustainable. Also, by providing a more holistic view of a student’s learning in a connected world along with innovative problem solving, students develop a growth mind-set and the compassion needed to build a better future. This extensive framework is not intended as a quick and easy solution to fix our systemic problems around sustainability. It is in fact a matter of passion and persistence to do what is right and just for all.